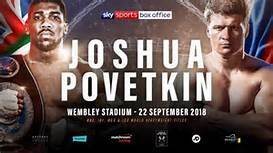 Anthony Joshua to face Alexander Povetkin at Wembley in September – Royal Times of Nigeria. 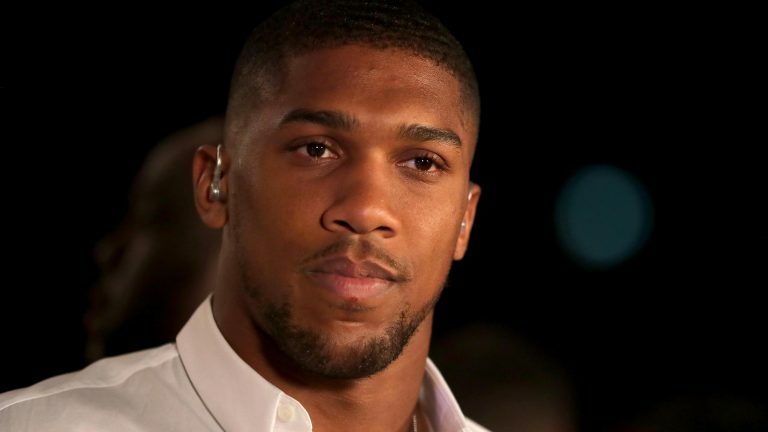 Britain’s Anthony Joshua will defend his world heavyweight titles against Russian Alexander Povetkin at Wembley Stadium on the twenty-second of September. The twenty-eight-year-old unified the WBA, IBF and WBO world heavyweight titles with a unanimous points win over New Zealander Joseph Parker in Cardiff in March. Unbeaten in twenty-one professional bouts, he now faces thirty-eight-year-old Povetkin, the WBA champion from 2011-2013. Povetkin knocked out David Price on the Joshua-Parker undercard in Cardiff. The experienced Russian has suffered only one defeat since his professional debut in 2005, losing by unanimous decision to Wladimir Klitschko in Moscow in 2013. It will be a meeting of two former Olympic champions, Povetkin taking super-heavyweight gold at the 2004 Athens Games and Joshua the same title at London 2012. Povetkin is the mandatory challenger to Joshua’s WBA title and fighting him means the Briton is likely to have greater freedom in selecting his next opponent.